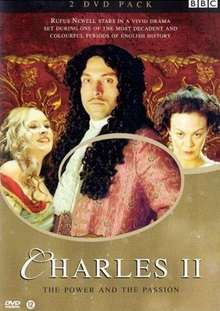 Charles II: The Power and the Passion was a 2003 BBC miniseries the likes of which I doubt we’ll see again in these times of austerity as it was a sprawlingly lavish costume drama, directed by a young Joe Wright. Covering the life and reign of Charles II, it starts just before his restoration to the throne after the death of Oliver Cromwell and runs right through to his death. Thus as 27 years of history are condensed into 4 hours, liberties and dramatic license is freely taken and this isn’t really the place to be too pernickety about this kind of things. We follow Charles from his libidinous time in exile on the continent to arriving back in London to be crowned King and to lock horns with Parliament. Charles still believed strongly in the absolute power of the monarchy but the politicians of the day were determined not to surrender any of their new-gained influence and so much struggles ensued as members of his court both grew in influence and fell from favour as everyone jockeys for power and to make sure they’re on the winning side. There is also the matter of the succession as Charles has no legitimate heir, though plenty of illegitimate offspring, and wants his brother named but he is a Catholic. Rufus Sewell is pretty marvellous throughout as the capricious monarch, haunted by visions of his father’s execution and so obstinately determined to maintain his legacy and rule as absolute leader. This throws him into conflict with the key politicians like Lord Shaftesbury, Martin Freeman doing a grand job, and also those to whom he is initially more closely allied, Ian McDiarmid’s Hyde, a voice of paternal moderation that Charles feels he outgrows and Rupert Graves’ Buckingham, whose friendship turns out to be sadly conditional. 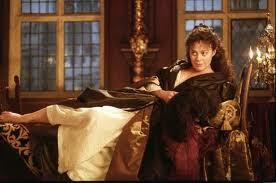 Where the show really excels though is in his many relations with women, not least with Helen McCrory’s Barbara Villiers, one of the most successful mistresses of any King who managed to wield such considerable power in court and had all five of her children recognised and ennobled. It is such a pleasure to see McCrory playing such a different type of role: spiky, unpleasant and thoroughly manipulative, but she makes us understand that this woman is simply using the only real power she has at her disposal, having herself made Countess of Castlemaine, even elbowing her way into the court of Charles’ queen, the Portuguese Catherine of Braganza. 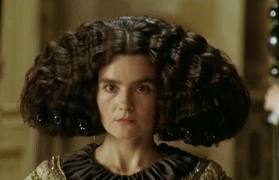 Catherine is played beautifully by Shirley Henderson, possessing one of the most insane hairdos in all of history, a devout Catholic and old-fashioned to her very core, she initially seems a bad fit for the outlandish King but as time progresses, a genuine fondness and affection grows between them as they survive disease, war and multiple disappointments. Emma Pierson’s sparky Nell Gwynn and Mélanie Thierry’s Louise de Kéroualle also tumble into his bed, the former being particularly good fun, but it is always Catherine that remains constant, McCrory playing the frustrations of Barbara so very well as her influence in court dwindles and she is forced out, albeit with an epic exit scene. Charles’ reign was packed full of incident, the arrival of the Plague, the Great Fire of London and several major plots which are all dispatched quickly though effectively in Adrian Hodge’s clear script which never feels like it is patronising its audience. Graves and McDiarmid are both excellent, there’s a sensationally vituperative turn from Diana Rigg as the embittered Queen Henrietta Maria and the whole thing is just a triumph. A historical costume drama with real purpose and intent, superbly acted and not just by McCrory! You can pick up the DVD fairly cheaply but it is also available to watch on YouTube if you’re so inclined.